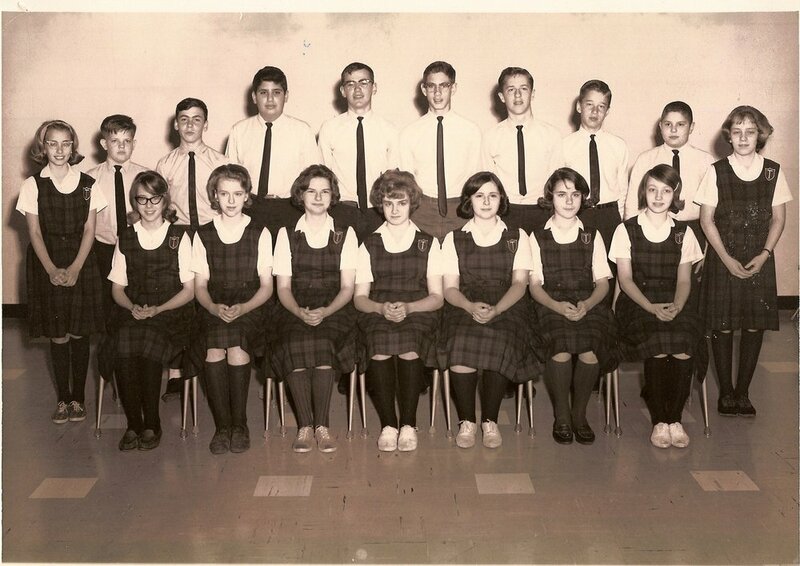 St. Timothy School’s first eighth grade class of 17 students graduated in 1964. We invite you to look through the pictures we’ve assembled here, showing every one of our 50+ graduating 8th grade classes. You’ll notice that the uniforms, hairstyles, and names change through the years, but one thing remains constant - our focus on developing disciples of Christ. Many Catholic elementary school alumni assert that their experience in Catholic schools gave them the foundation to be where they are today. Putting forth your best effort, being kind and respectful to those around you, being on time, working collaboratively toward a common goal, making ethical choices, considering your actions’ impact, and putting Christ first in all things… all transformational values instilled by Catholic elementary school like St. Timothy K-8 Catholic School. We invite you to reconnect with your classmates, to reminisce, and to share the positive impact your St. Timothy education has had on your life. We'd love to hear about your favorite St. Tim memory, your family, any accomplishments. Would you like to let other alums know about your business? Tell us about it here! St. Timothy School continues to grow and thrive, and we’d love for you to be part of our future as well as our past. We invite you to reconnect by joining our Alumni Association! No dues are required. Simply update your alumni profile and let us know what you’ve been up to. 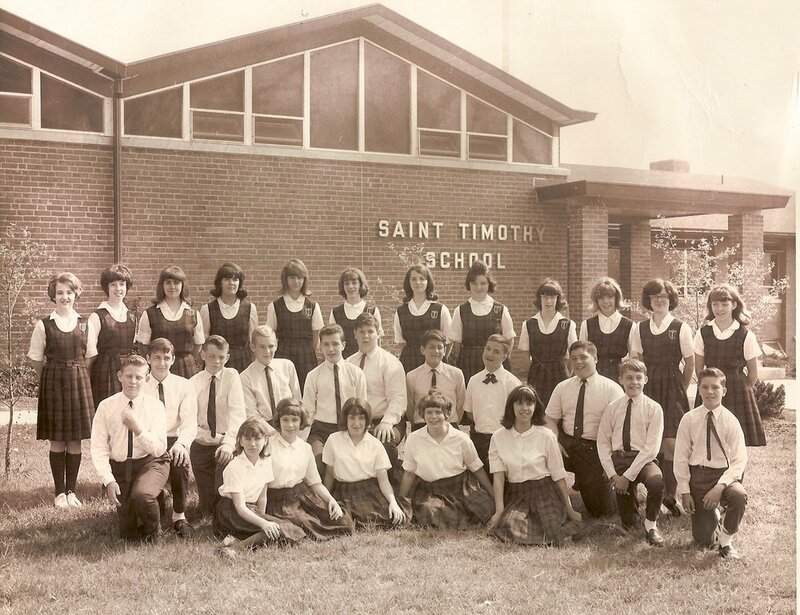 Members of the alumni association are involved with the life of St. Timothy School at many different levels. We invite you to join us, too. 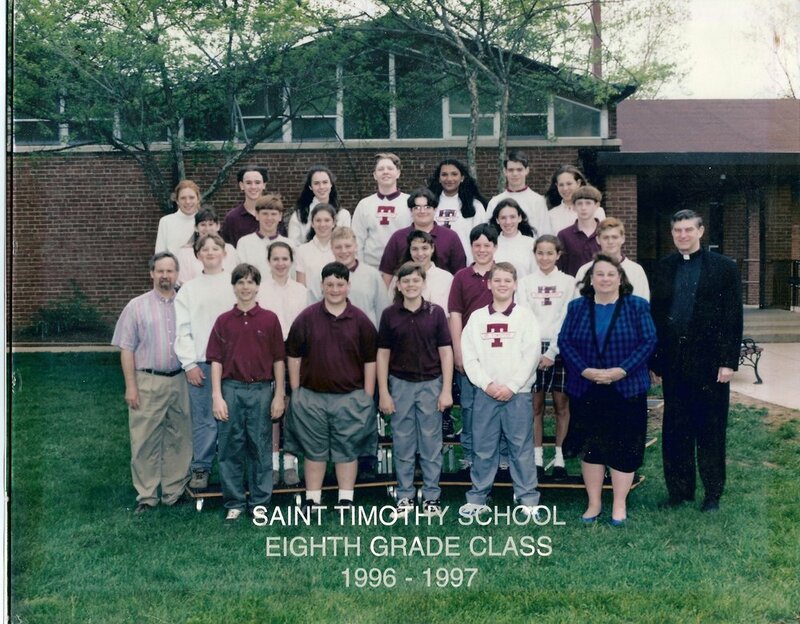 Some alumni simply enjoy hearing school news and alerts about upcoming events like the St. Timothy Festival on the Green. Others are active volunteers in the school, helping out with science and history fair, speaking to students on career day, and reading to students. All alumni are asked to pray for the students and staff at St. Timothy School, and many join us for Mass on Wednesday mornings at 9:00 am. Still others provide financial support that allows us to make improvements to our facilities and offer tuition assistance. We welcome your involvement at any level! Questions about the Alumni Association? Contact Mary Ballantyne (wballant@columbus.rr.com).